50 W. Washington Street, Chicago, IL 60602. The jury assembly room is located on the 17th floor in Room 1700. 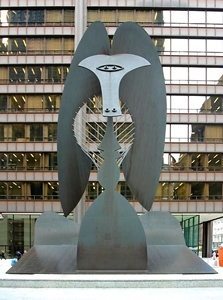 If you are serving at the Richard J. Daley Center, there are a number of public parking lots within walking distance. If you choose to park in one of these lots, you will NOT be reimbursed for any parking expense when serving in the Daley Center. 5600 Old Orchard Road, Skokie, IL 60077. The jury assembly room is located on the 1st floor in Room 111. Parking is currently free in lots adjacent to the courthouse. 2121 Euclid Avenue, Rolling Meadows, IL 60008. The jury assembly room is located on the 2nd floor in Room 220. 1500 Maybrook Drive, Maywood, IL 60153. The jury assembly room is located on the lower level in Room 59A. 10220 S. 76th Avenue, Bridgeview, IL 60455. 16501 S. Kedzie, Markham, IL 60428. The jury assembly room is located on the 2nd floor in Room 219. 2650 S. California Avenue, Chicago, IL 60608. The jury assembly room is located on the 3rd floor in Room 3A00. Jurors park for free only in the Cook County parking structure located across from the courthouse on California Boulevard. You must show your summons to the parking attendant upon entering. If you park in one of the nearby pay lots, you will be responsible for any parking costs. If you park on the street, you will be responsible for any meter fees and any costs associated with parking violations, including fines and towing. The Office of Jury Administration will never phone, text, or email you asking for social security numbers or any other private and confidential information. The Office of Jury Administration contacts the public concerning all jury related matters only by First-Class or Certified U.S. Mail.